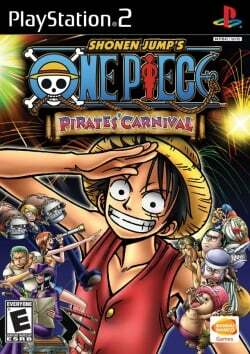 Game description: Different from the previous One Piece games, Pirates Carnival is a party game featuring over forty mini games. The mini games feature simple controls and promise to recreate well-known scenes from the original One Piece body of work. The game features support for four players, with some games featuring split screen play and others placing all four players in the same area. The main style of gameplay is the Board Game, which features a massive gameboard consisting of dozens of panels. The objective of the game is to have as much money as possible when every tile belongs to a player. Plus it has over 30 different minigames, which support up to four players. This page was last edited on 18 November 2016, at 17:40.